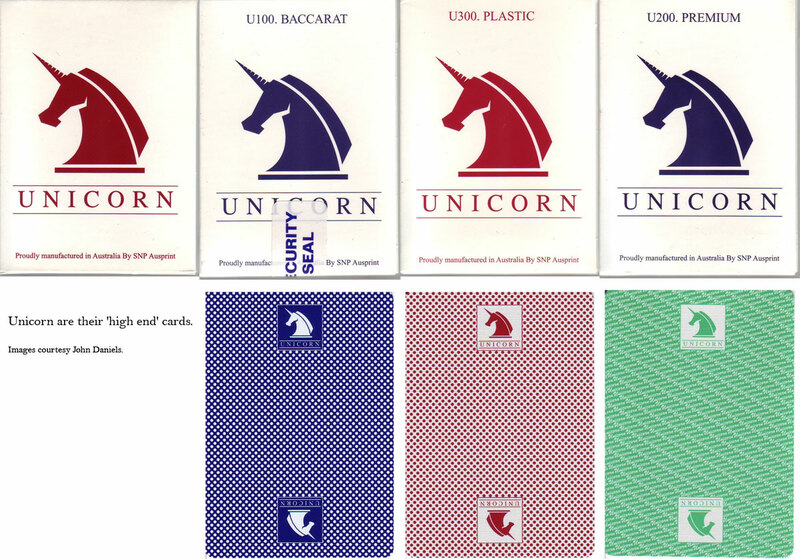 Above: “Player’s Choice” playing cards for Versace with 2 Matta jokers, by SNP Ausprint Pty Ltd, c.2000. There was a Versace exhibition held here in August in that year. Courts are standard, with large corner letters. 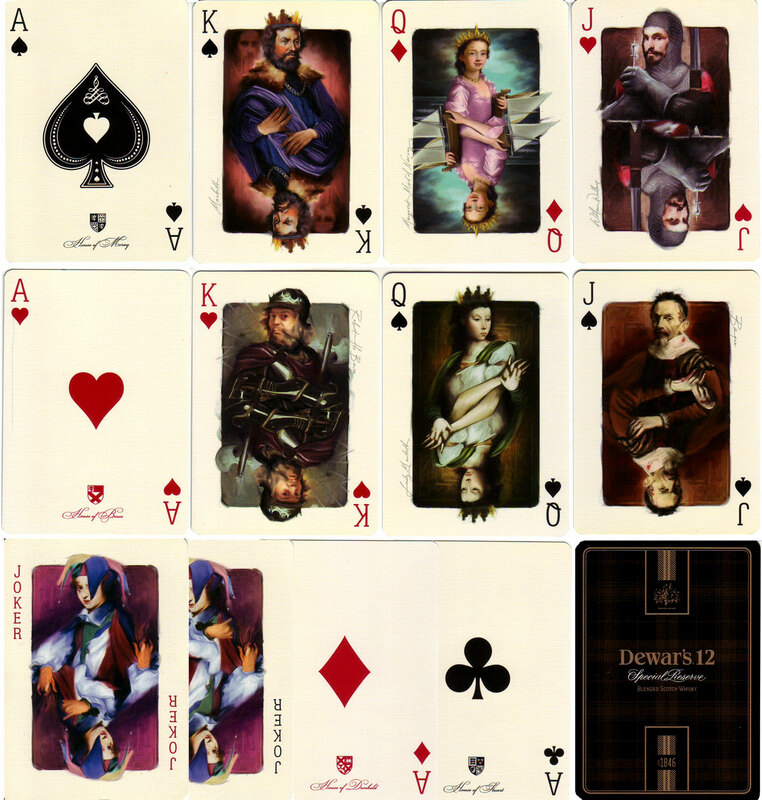 Above: special playing cards for Dewar’s by SNP Ausprint Pty Ltd. 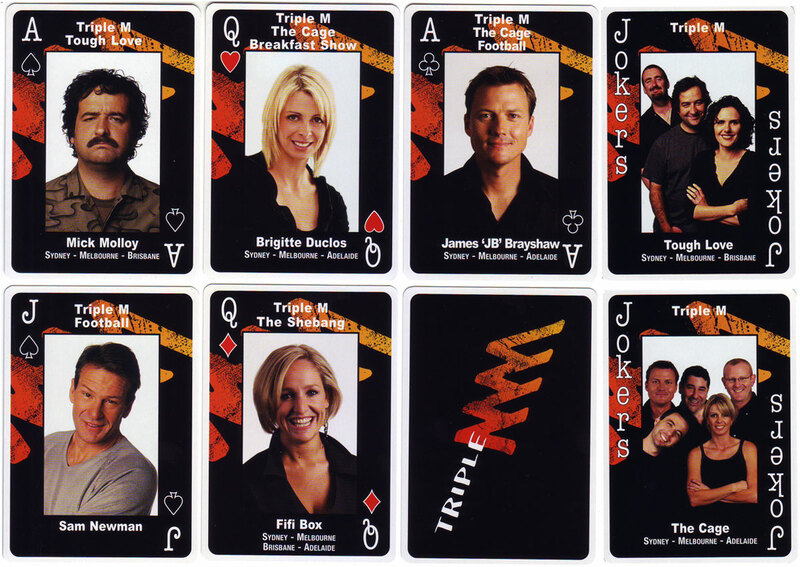 Above: “Triple M” playing cards for the networked radio station by SNP Ausprint Pty Ltd. 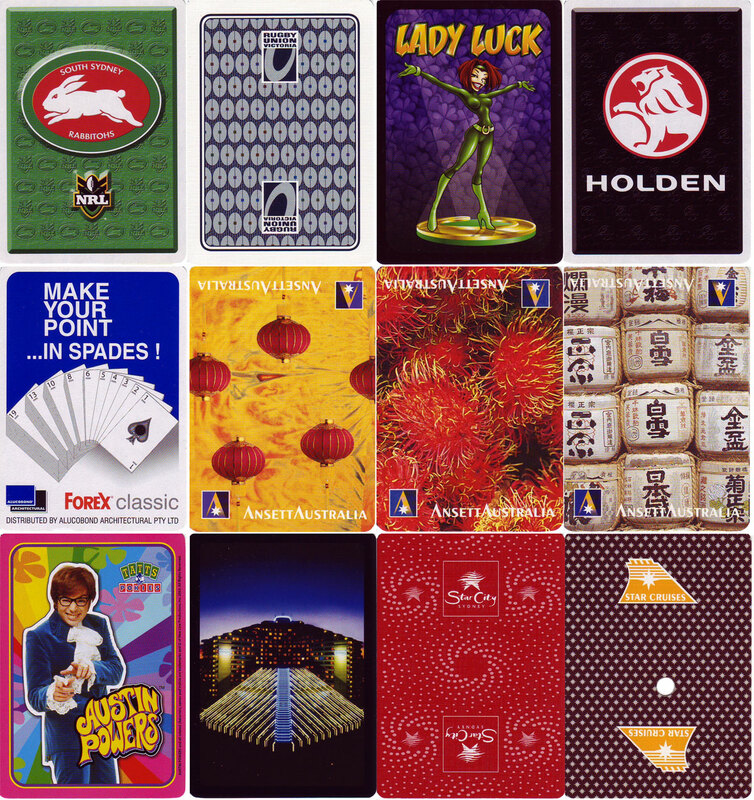 Above: advertising playing cards by SNP Ausprint Pty Ltd. 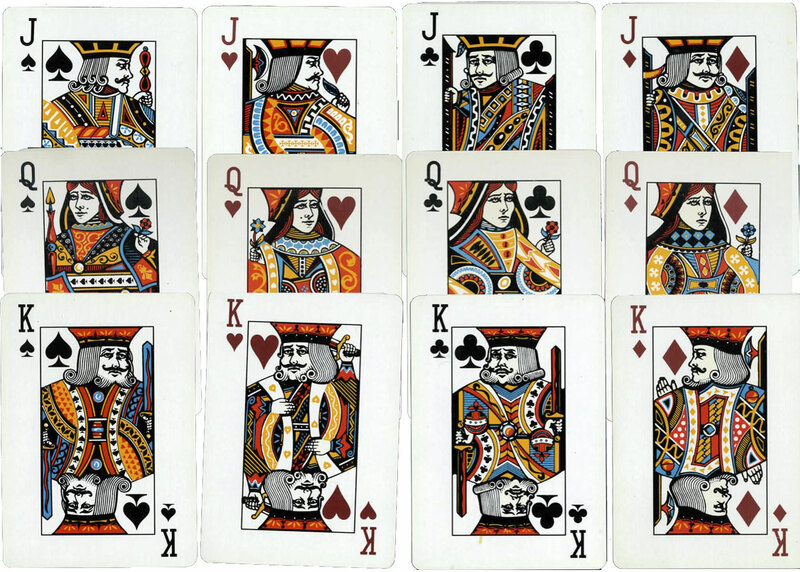 In earlier times it was possible to get ‘casino used’ cards direct from the casinos themselves, with either a hole drilled or corner cut, but recently they have stopped doing this. 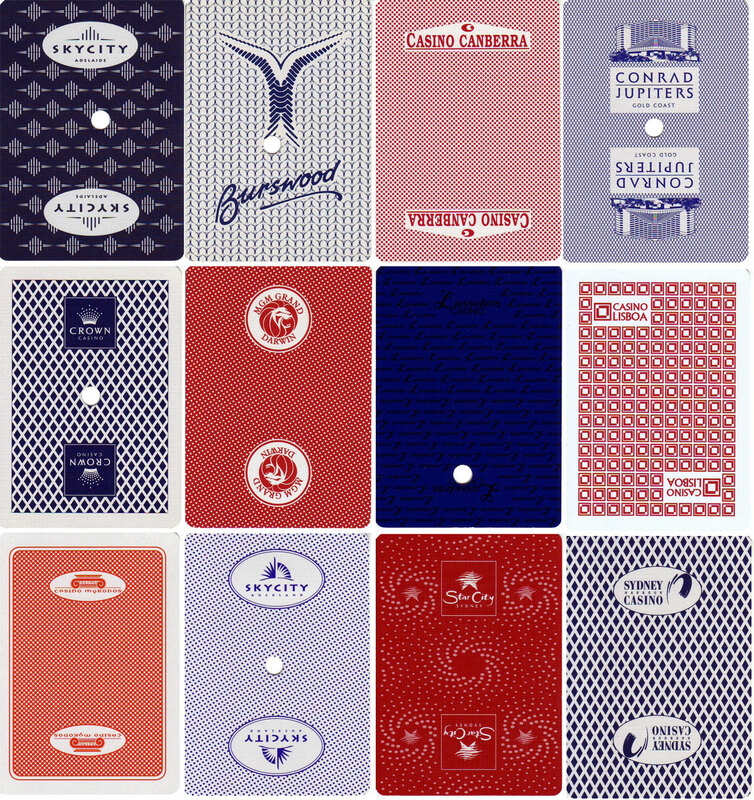 Some have cards printed with the casino advertisement on the back that you can buy at their souvenir shops, but they’re not used in the actual gaming rooms. CREDITS: all images courtesy John Daniels.